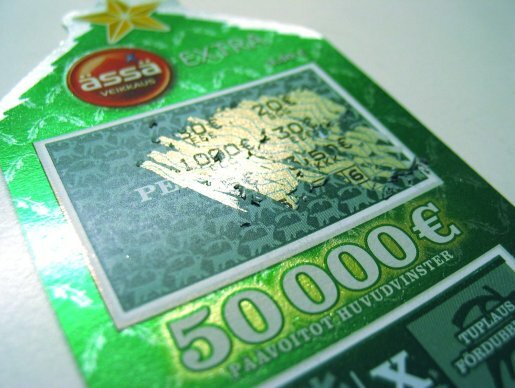 Scratch-off tickets can be a very lucrative retirement investment. Judy Slone is a very lucky woman. Most people play the lottery their entire lives and never win a dime. However, this 62-year-old electrical wire installer isn’t like most people. Judy Slone just recorded her fourth lottery jackpot win since 2004. Talk about a hot streak! Thus far, Judy has won $1, 527,777 in jackpots. Granted, Slone isn’t winning mega-millions with her jackpot wins, but she is winning significant amounts of cash. Her first jackpot in 2004 was $27,777, used to buy new furniture. After that, she took home a cool $1 million in 2005, which was used for eye surgery and a new car. Her third jackpot was $100,000 that went towards a vacation in Puerto Rico. Now this jackpot, won via the Georgia Lottery scratch-off 20X The Money, has netted Slone $400,000, which is going to be saved for retirement. She may not be giving it to charity, but she’s using it wisely. So what’s these secret to Judy’s success? Quoth the lottery champion, “I play a lot.” I guess you have to spend money to make money.